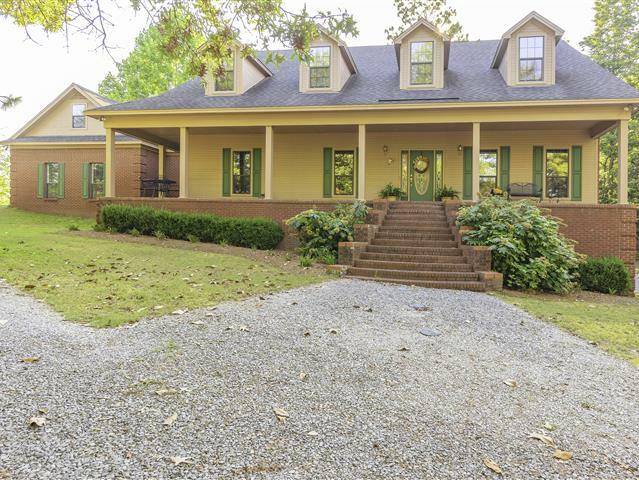 Magnificent Estate home in one of Prattville’s most sought after country subdivisions with over 3 acres!! This custom built home has over 3500 sq ft. This home features 4 bedrooms, a bonus room, a large designated office, 3.5 bathrooms, and a Basement Workshop. The home has so many extras you will be amazed!! From the moment you drive up to this home you will be in awe of the beauty it has to offer starting off with the huge front porch for your swing. When you enter in the beautiful foyer you will find a formal living room with abundance of natural sunlight. As you enter the HUGE greatroom you will find a gas log fireplace and built-in custom cabinets. The greatroom leads out onto a large deck. You will have lots of room for the family meal time with the formal dining room. The kitchen is a chef’s dream!! You will find lots of custom cabinets, a double oven, and a breakfast bar. There is enough room for all of your kitchen gadgets, dishes, pots and pans!! The bright and sunny breakfast room offers lots of space for the hustle and bustle of the mornings ahead. You will love the unique master suite. It offers separate bathrooms for each person, a large walk-in closet and a spacious bedroom with lots of windows!! So no need to rush the other person, you will have your own!! Doing laundry will be a snap with the oversize utility room!! Upstairs you will find 3 bedrooms and a bonus room. The upstairs bathroom is very spacious with double vanities. You will be happy with all of the extra closet and storage areas this home has to offer. Parking will be no problem with the attached 2 space garage. Now, let’s talk MANCAVE!! Downstairs you will find a fully functional basement workshop with access from inside the home as well as an exterior roll up door for large projects! This home is a one owner home and has been loved for years. Very convenient to schools, a new Dollar General and a new grocery store. Call today and we can make this house your dream home! !